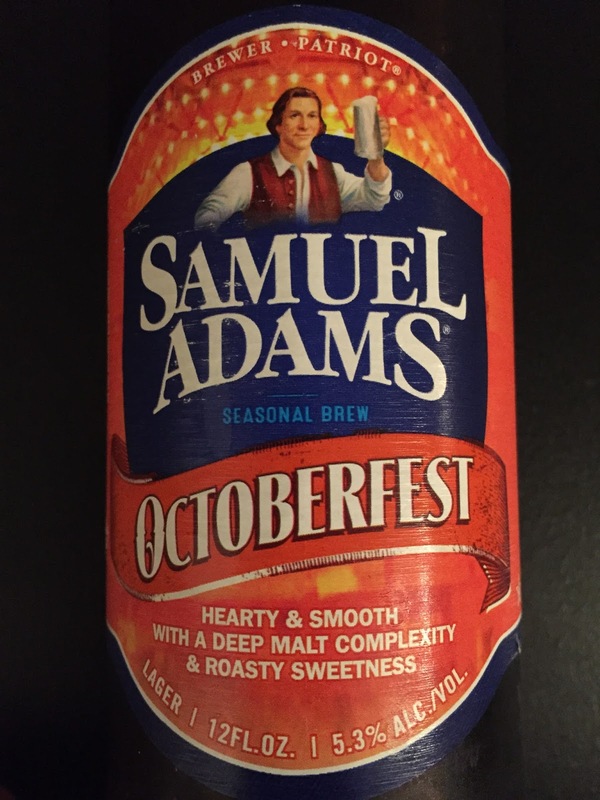 Well lookie here...it's another fall beer! We're keeping the festive fall beers flowing this week at bumwinebob.com with another top seasonal pick for the beer of the week! While last week we took you all on a trip to the harvest patch, some people make the case that this beer could be the cause for the influx of seasonal fall and pumpkin beers over the years. 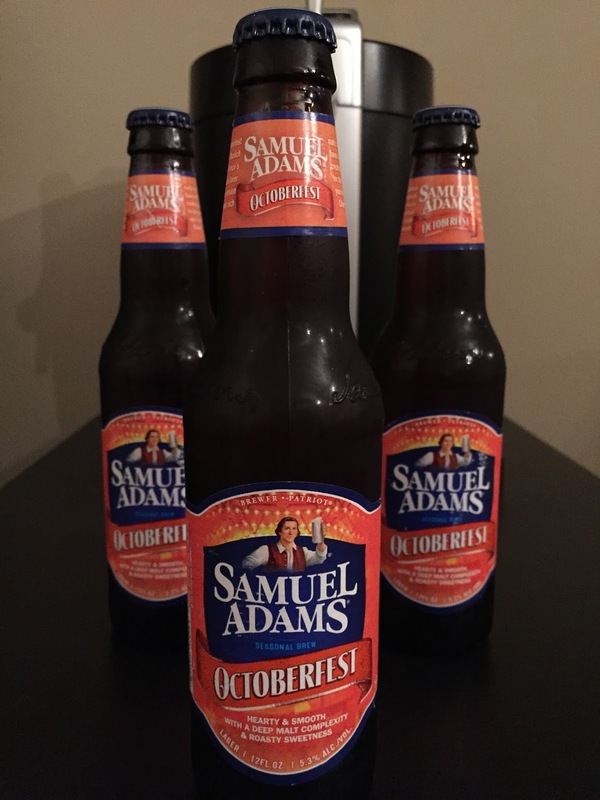 It was on October 10, 1989 that Samuel Adams Octoberfest was released for the first time, and needless to say it has been a hit ever since! 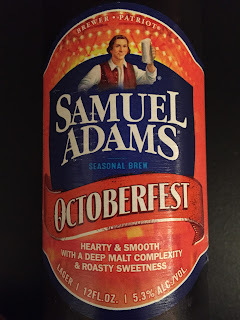 For some people like myself, I usually find the seasonal offerings from Sam Adams more enjoyable than their traditional year round offerings. We have featured the Sam Adams Summer Ale in the past, and now I am happy to induct Sam Adams Octoberfest as the BWB Beer Of The Week! Sam Adams Octoberfest has a unique taste that goes down smooth. Coming in at 5.3% ABV it's a blended mixture that is perfect for the season. For those of you that are not a fan of pumpkin beers, you are in luck since there is not even a hint of pumpkin in this beer. It's available from August through October, so make sure you stock up now if you want to enjoy this beer anytime throughout the remainder of the year. This beer is even Krude approved! If that doesn't give you enough reason to go out and pick up a few bottles, I don't know what will. 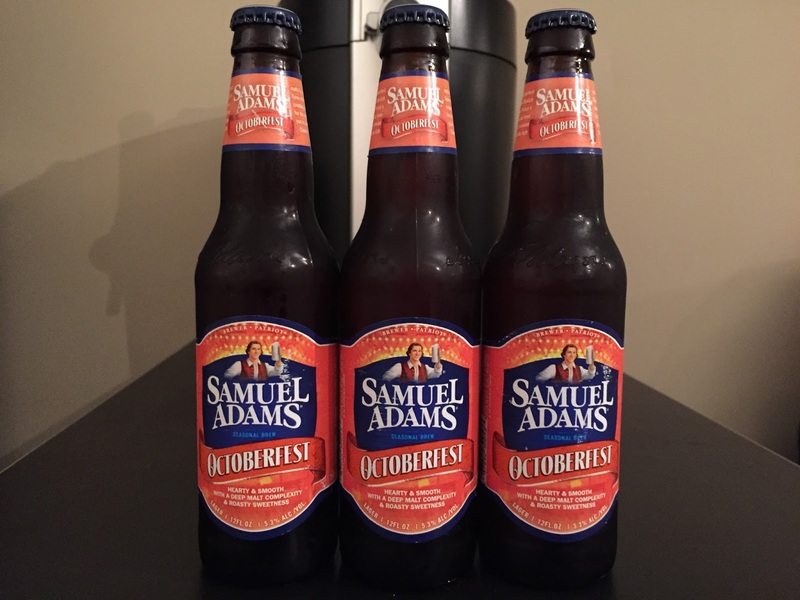 Enjoy the cool fall days and grab a Sam Adams Octoberfest, the BWB Beer Of The Week! The bumcast is LIVE this Sunday at 11pm ET when welcome our good friend Kevin M. Thomas back to the show. A lot has changed since we had Kevin on the show last year, and we are happy to have him back on the show once again! We will be chatting about his music, drinking, and a variety of different topics as well. Check out his site at hearkevin.com and make sure to download his new album on iTunes! Be sure to tune in and join the party! Cheers!